What was your favorite school field trip? Maybe your class loaded up a school bus and visited a museum for the day. Or maybe it was a planned trip to a national park – or even a surprise visit to a theme park. For engineering students at McNeil High School in Austin, Texas, their favorite field trip is fresh in their minds. 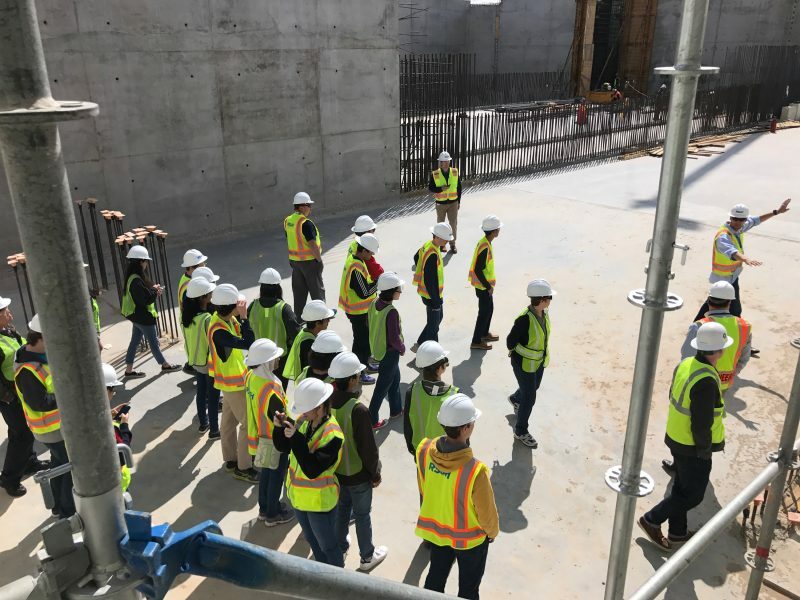 Last week, Lisa Windolph’s class paid a visit to Austin-Bergrstrom International Airport and got an up-close look at three active RS&H projects. “The students and I agreed that this was the best field trip ever,” said Windolph, who is also the STEM Academy Lead and Career and Technology Education Department Chair at the public high school. Many high schools in Texas have made STEM curriculums – based on science, technology, engineering and math – a top priority to better prepare students for future careers. “Seeing things (covered in class) in real life is so much more engaging than just discussing these topics in the classroom,” Windolph added. The RS&H team, led by Sean Brennan and Byron Chavez, presented to the class on aviation engineering, showcasing several projects and subtopics ranging from commercial construction to concrete and rebar. Afterward, the group went on a tour to see the work in progress around the Austin airport’s expanded terminal, de-icing complex, and runway apron projects. RS&H is active in all three.